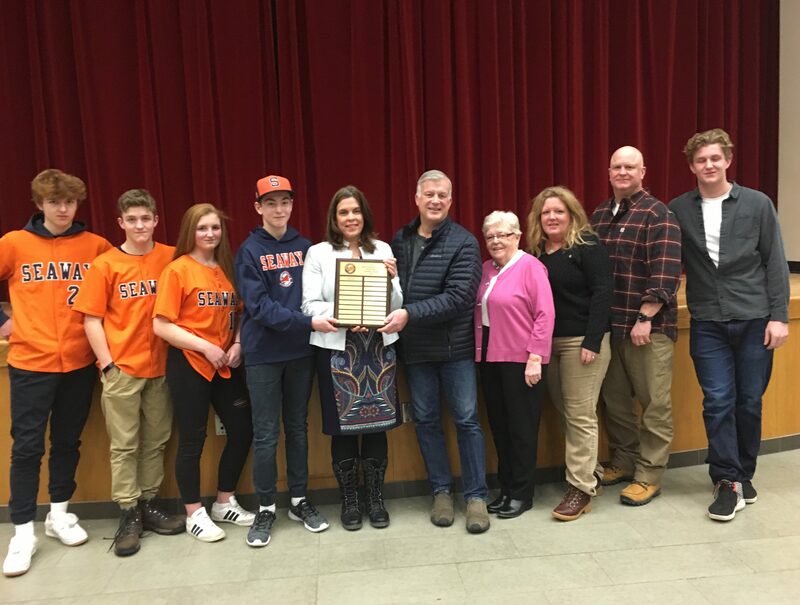 The Seaway Surge Baseball Club held their annual awards ceremony last Tuesday honouring top players and coaches and remembering one of their own. Mayor Nancy Peckford with the Bud Mawhinney Memorial Umpire Award winners Simon Piche and Tim Hamilton, along with members of Bud's family. Seaway Surge coach Chris Finner was the emcee of the evening and started off the ceremony at North Grenville District High School commenting on the amazing year the club had in 2018. 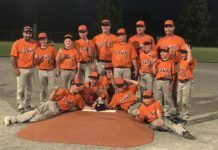 Seaway Surge expanded the number of teams, players and parent volunteers, revived a couple old baseball diamonds in Merrickville and Brockville, and held the Seaway Surge Shootout Tournament, which has become one of the most successful tournaments in Ontario. “We had a very successful season and we are looking forward to next year as well,” Chris said. Throughout the evening, awards were handed out for Top Batter, Top Pitcher, MVP and Coach in the Rookie, Mosquito, Minor Peewee, Major Peewee, Minor Bantam, Bantam and Midget division. The award, presented by Mayor Peckford, was awarded to two umpires. Junior umpire of the year went to Simon Piche, while the senior umpire of the year was awarded to Tim Hamilton. Many members of Bud’s family were on hand to offer their congratulations to the winners of the first year of this award.